Alright so we know you’re focused on the ‘ParaNorman’ Foamposite at the moment but if you happen to miss out on that 1 of 800 release than don’t despair, more colorful releases are on their way. 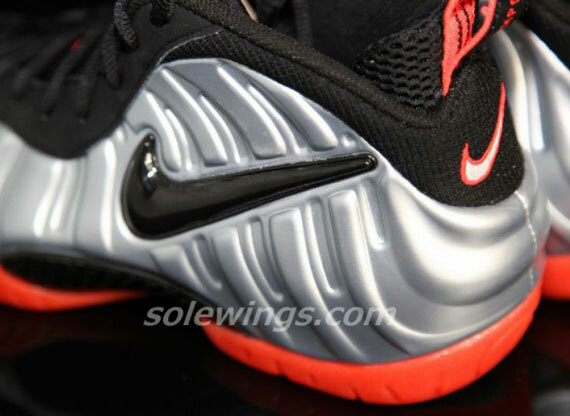 Right when the calender flips over to September this Nike Air Foamposite Pro is getting served up, with a metallic upper that echoes previous Nike Air Foamposite One colorways like the ‘Pewter’ and ‘Copper’ along with quite a bit of color injected into the bottom that drums up the ‘Bright Crimson’ nickname. Continue reading to get the full on views of the sneaker and let us know if you think this Nike Air Foamposite Pro is worth your $220.